Daniel F. O’Riley was born to Dennis K. and Irma E. (Roark) O’Riley in Hoopston, Ill., on July 28, 1932. His father was a baker and his mother taught dance in their home in Danville, Ill., throughout the 1930s and 40s. All five O’Riley children were taught to tap dance and toured the area as the O’Riley Taptitians. Funeral service also became a family affair. Dennis Howard O’Riley, Dan’s older brother, was the first O’Riley to graduate from mortuary college. He led the way by attending the Worsham College of Mortuary Science in 1949 and worked at Berhalter Funeral Home in Danville, until he received his calling to the seminary and was ordained a Roman Catholic priest in 1959. Their oldest brother, James Keith O’Riley, went to the army in 1943 and served throughout WWII. After the Crossing of the Maine and the Invasion he toured with the Army Special Services and used his mother’s training to entertain the troops across Europe. He spent more than 10 years as a professional entertainer and then returned to Indiana to attend the Indiana College of Mortuary Science in 1957. He continued in funeral service until he heard his greater calling, and, like his brother Dennis, left for the seminary. He was ordained a priest in the Indianapolis Archdiocese and was the parish priest at St. Mark the Evangelist Catholic Church as O’Riley Funeral Home was being built in the field next door. As a child, Dan attended St. Patrick Catholic Grade School and was president of his 1950 class at Schlarman Catholic High School in Danville. His mother passed in 1948, and his father was ill and hospitalized for tuberculosis for the end of his high school years. As a result, he was taken in by his aunt Mary McGill and began working at her beauty salon and gift shop. After high school graduation, he went to South Bend, Ind., to live with his oldest sister, Mary Ann (Lassuy) and worked at Sears Roebuck and Co. He began an internship with Welsheimer Funeral Home in 1951. It was during these years that he met the love of his life, Mary Denise (Denni) Egry, whose father was a professor at Notre Dame. Daniel began his degree in Funeral Service in 1953 at the Indiana College of Mortuary Science in Indianapolis. In 1954, he was drafted into the U.S. Army and was part of the Artillery and Quartermasters Corps of the First Armored Division at Ft. Hood, Texas. Unable to wait any longer, he married Denni on the 27th of December that same year and she moved to Texas to be by his side. They began their family while still in Texas with the birth of their son, Dennis Keith, on Halloween of the following year. The O’Rileys returned to Indianapolis and Dan spent the next 7 years with J.C. Wilson Funeral Home, where he was eventually named General Manager and Vice President. During those years they added to their family with the birth of Diane Elizabeth (Gudat) in 1957 and James Robert in 1959. In 1959, he was named an assistant Professor of Embalming at the Indiana College of Mortuary Science. 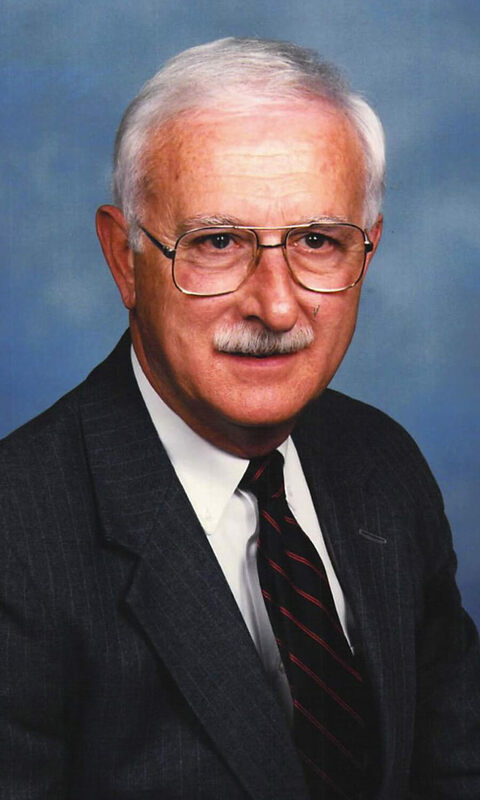 In 1962, he partnered with two local funeral directors and began his work with Abdon, O’Riley and Hurt funeral homes. Later it became a partnership entitled Abdon and O’Riley located on Prospect Street. During these years he became Grand Knight of the Msgr. Downey Council of the Knights of Columbus (1962-63), received the Distinguished Catholic Layman Award from the Indianapolis Archdiocese (1965) and the Catholic Layman of the Year Award from the Knights of Columbus #3660. In 1971, he broke ground on the property next to St. Mark the Evangelist Catholic Church and began to build his dream, Daniel F. O’Riley Funeral Home, from the plans designed by the three O’Riley brothers. With Denni as his manager, they built the quality family reputation that sets O’Riley Funeral Home apart from the rest. Both Dan and Denni were active in the Democratic Party and were instrumental in helping their family friend, James Wells, get elected to the position of Sheriff of Marion County. Dan then spent eight happy years moonlighting as “Car Two” with the Indianapolis Sheriff’s Department while Denni continued to keep the Funeral Home on track. Denise died in 1981 after a short battle with cancer. In 1981, Dan’s son-in-law, Shawn Gudat graduated from Mid America College of Mortuary Science and began his funeral service with O’Riley. During these years Dan’s sister, Molly, moved from her home in Casa Grande, Az, to be closer to their other sister, Pat (Colleen) Beever and her daughters to live and work as the office manager at the funeral home. After Molly retired to live with her daughters in Brownsburg, Indiana, Shawn’s eldest sister, Karen Settles, became the general manager of O’Riley Funeral Home until her retirement in 2017. Together, Shawn and Karen worked tirelessly for 25 years to serve their families in the upstanding tradition that has always been associated with Daniel F. O’Riley and his beloved funeral home. Although eventually not active in the day-to-day running of the funeral home, Dan continued to come to work daily from his home located behind the funeral home (now owned by St. Mark) and keep an eye on the quality of the business. Daniel F. O’Riley passed away on May 2, 2012, and was laid to rest next to his wife, Denni, at Holy Cross Cemetery.